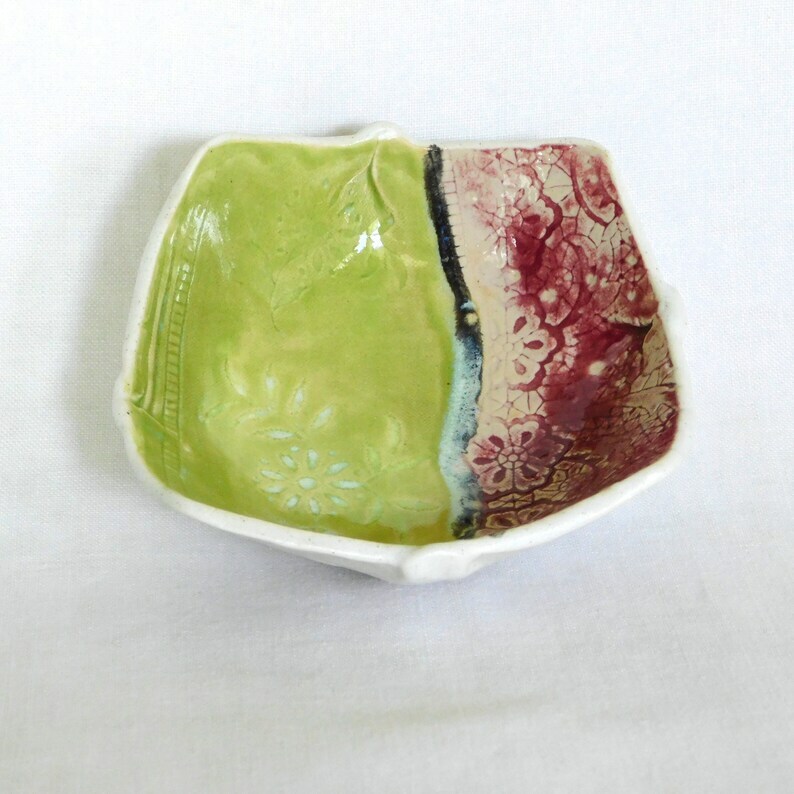 A hand painted black line draws attention between a spring green side and a purple and white side of this small, square, porcelanous stoneware bowl. 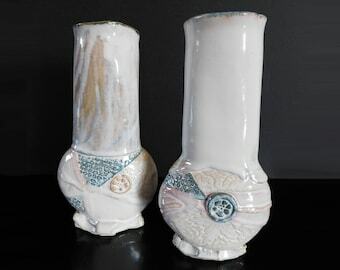 The purple glaze disappears in places helping to show the lace pattern beneath. This small, pottery bowl can be used as a candy dish, ring holder, votive holder, salsa bowl, pin or paper clip tray, condiment server or decorative sit around. Why have I put this bowl in my Pottery Seconds area? One of the corners of the square decided to curl in towards the middle during the glaze firing making the piece somewhat odd. It has been difficult to show this particular asymetry in the pictures because it is not severe. All pottery seconds are half the price of their normal counterparts. The bowl measures 5" (13 cm) in diameter and 1 3/4"(4.5 cm) at its highest point. Made of a durable porcelain-like stoneware this little dish can be washed in the dishwasher and heated in the microwave.